I was looking at the YN-565 and YN-568 but did not want to make a wrong purchase and buy a Canon one as I have a Nikon. If they're TTL-capable flashes, they're brand specific. And they only come in Canon and Nikon flavors. The manual-only models are not brand-specific and will work on any ISO-compatible hotshoe. It's not a 100% reliable guide (e.g., the YN-500EX is an exception), but generally any model that ends in a 0 is manual-only and brand-agnostic; any model that doesn't end in 0 is probably TTL capable and may be Canon-only, or come in both Canon and Nikon flavors. If both Canon and Nikon versions of a TTL Yongnuo model exist, (e.g., YN-568EX, YN-565EX), the Canon version will have silver lettering on it; the Nikon version will have gold lettering. There are a lot of weird listings on Amazon/eBay for Yongnuo flashes that are the Canon version that also say they're TTL-compatible with Nikon cameras. My personal take is that these are listings by people who simply move lots of units of lots of cheap Chinese goods, and they don't actually know anything about flashes. And in a weird way, the iTTL-compatibility claim is true, because Yongnuo's "EX"-designated flashes can be used as CLS slaves in the Nikon optical wireless triggering system as well as Canon's wireless eTTL, but they won't work as an iTTL flash on a camera or TTL radio trigger hotshoe unless they have the Nikon pin placement on the foot. On the YN-622 triggers, you'll note that the same applies to the pins on the feet of those triggers, as well as the passthrough shoes up top. 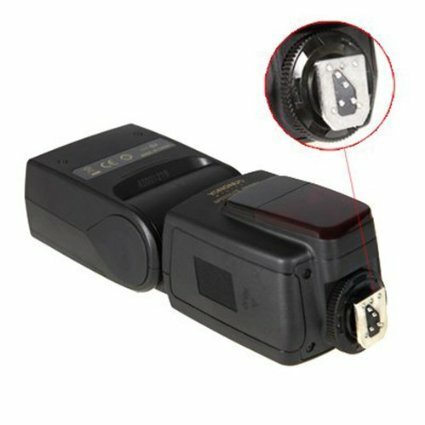 With Yongnuo's manual triggers (RF-60x triggers), however, this only holds on the feet (they use a TTL signal for wake-up, but only for wake-up); the passthrough shoe on top has a modified contact placement that covers the wake-up signal in both patterns. This is why they don't do full TTL passthrough, but the YN-622s do. I'm using 2 Yongnuos YN560 IV with all their settings on my Fuji xt 2 both as TTL and with Fuji flash as trigger. Does the Nikon D3300 support high-speed sync speedlights? Can I use any brand of flash? Is flash brand X compatible with camera brand Y?